At 5,157 acres, Portland’s Forest Park is the largest urban forest in the United States. 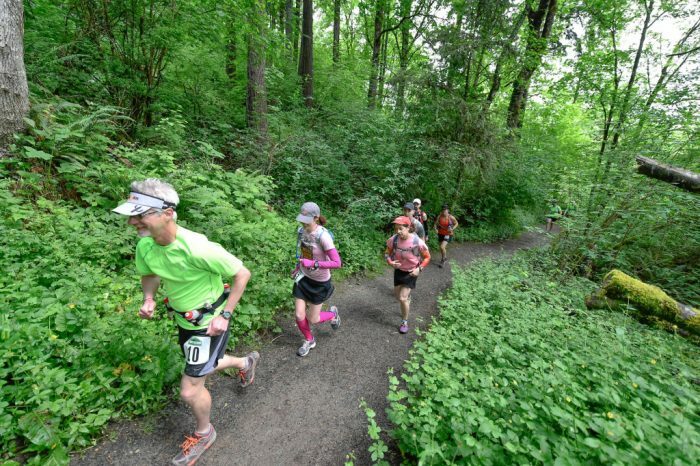 There are 80+ miles of soft-surface trails, fire lanes and forest roads, stretching for more than 7 miles along the eastern slope of the Tualatin Mountains, overlooking Northwest Portland and the convergence of the Columbia and Willamette Rivers. There are tons of options here. 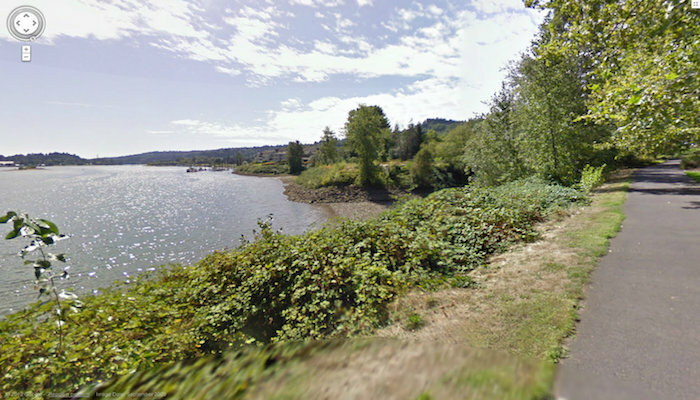 The Lief Erickson Road is a former auto road and now a wide forest trail, extending 11.2 miles one-way. Our route follows the first 3 miles, out to Firelane 1. There are mileage markers on white concrete posts for the entire trail. Forest Park Entrance off NW Thurman St.